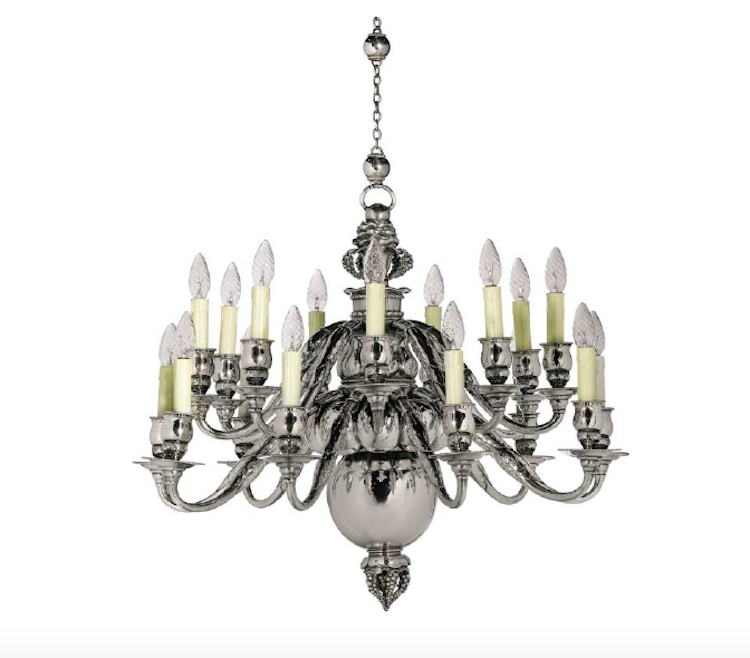 A unique chandelier designed by Georg Jensen will be included in Sotheby's Arts of Europe sale next week. It was commissioned by the important patron Ivar Kreuger, a Swedish civil engineer, entrepreneur and industrialist. It was sold from Kreuger's private collection in 1932 and has since been up for auction twice at the prominent Swedish auction house Bukowskis. You can find more Georg Jensen objects up for auction here.